Danny Krakower is both business attorney and corporate advisor. In his 30+ years of legal practice, he has counseled many individuals and businesses on entity formation and structuring issues and business planning matters. 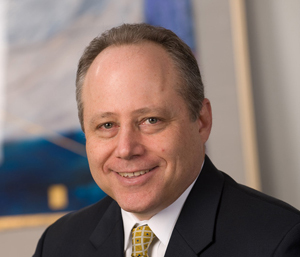 He helps clients effectively navigate through the legal and business challenges they may face, including a particular talent for resolving partnership and shareholder disputes (corporate divorce). Danny’s sound, well-reasoned guidance is essential to the success of his clients, as evidenced by the number of companies he has represented throughout the lifecycle of their company. Danny often serves businesses in a “general counsel” type role. By gaining an understanding of the company and establishing relationships with key personnel, he is well positioned to not only react to legal issues that may arise, but to also be proactive in helping the business avoid potential legal issues. Danny’s substantial business transaction experience includes several mergers and acquisitions having transaction values ranging from $10 million to in excess of $100 million. In addition to M&A, he negotiates and documents many forms of business transactions including debt and equity financings, joint ventures and strategic partnering. Danny has facilitated numerous private placement equity financings in excess of $5 million, and joint venture development projects in excess of $150 million. He also has significant experience in the development, protection and exploitation of technology and proprietary rights. Through his service as a volunteer board member and general counsel to various charitable organizations in the Montgomery County, Maryland community, Danny has gained substantial experience in tax-exempt organization law. As a testament to his keen ability to strategically guide businesses, Danny has held leadership roles within Shulman Rogers and currently serves on the firm’s Board of Directors.